The mod adds weapon cases that wou will find in chests inside dungeon, strongholds and temples. The weapon cases will work similar to Counter Strike, when you open the case there is a chance to get one special weapon. These are not cradtable. You open the case by right clicking the item. Weapons can be Common, Uncommon, Rare or Legendary; and each type has different attack damage. Also, the weapon can be either Broken, Good, Crude, Flawless or Perfect. Each state has different durability. All these values can be changed in the mod's configuration file. Wish there was something simple like this for armors. Most armor mods I've found are way too involved with things like "Piece together an armor from 47 rare components that is 1.3% better than diamond ... but you can't enchant it" ... or they instead go the other way and give you game-breaking power for nothing. There doesn't seem to be a config file being generated for game version 1.8.9 still. All the melee weapons, no matter the type or quality have delay 1.6 and damage 7. The different qualities do have different hit points. Is this the way it's meant to be ? Do the weapons have different effects on them, as they're all named and have different graphics, and if so, would it be possible to add those effect description to the tooltips ? Is there a chance for a back port of the second edition to MC 1.7.10? IMO we should instead encourage the other mod authors to port their mods forward. The 1.7.10 modders should really consider moving up to 1.10 or later. Any word on when an update to fix this will happen? Not yet in the 1.11.2 version, not sue if it's a baubles thing on on my side. But for now you get the effect by just keeping it on your inventory. Later I will see what I need to do to get it in the baubles slot. Ok, thanks! I love using baubles and this mod but I don't want to downgrade my modpack to 1.10 just because of a small thing between two mods. thanks for updating to 1.11.2! please add a config option to customize the spawn chance of a weapon case in the loot. I miss this mod so much! One of my all time favorites! Oh wow! That'd be awesome, take your time mate, no need to hurry! Like some others reported, some swords show the wrong damage stats and seem to just have the regular diamond damage. I never really understood the rarity, is there a difference between common and rare swords? The only drawback is that Levels uses it's own rarity system and most of the peeps on my server find it confusing that some weapons show for instance common and uncommon at the same time. Would it be possible to maybe check for levels and disable your rarity system? If you need someone to test stuff, drop me a line, it'd be my pleasure to help you in any way possible to make this mod even better than it is now! For me it always shows two damage numbers. The higher one that shows from the mod doesn't really apply. 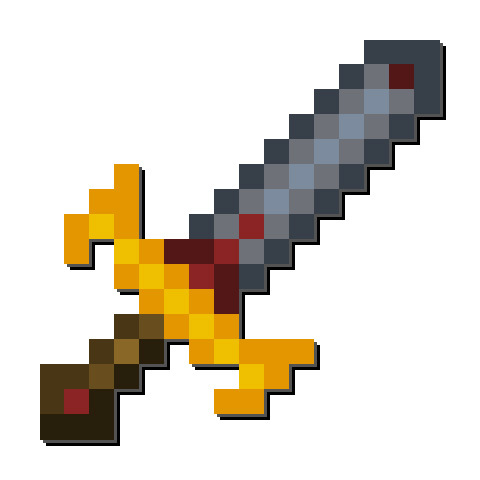 Had a sword with more damage than a diamond sword but was much weaker. Your config file isn't showing anymore since the 1.10.2 update. My bad. I forgot to upload the version where this is fixed. Uploaded it now.